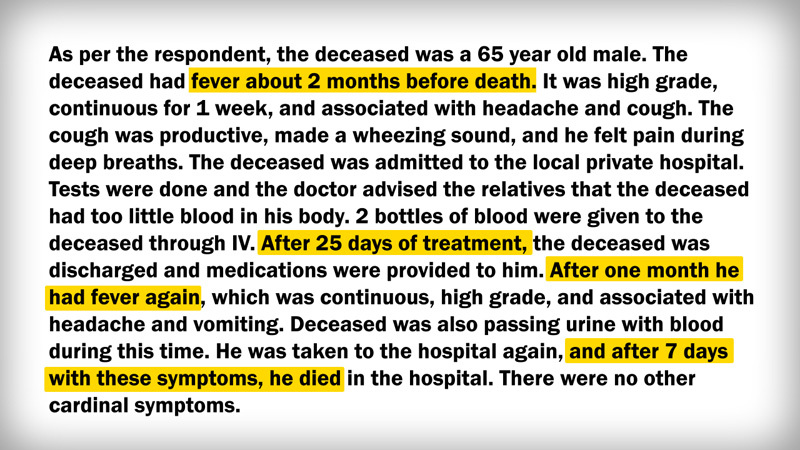 This is a good narrative for physician coders. 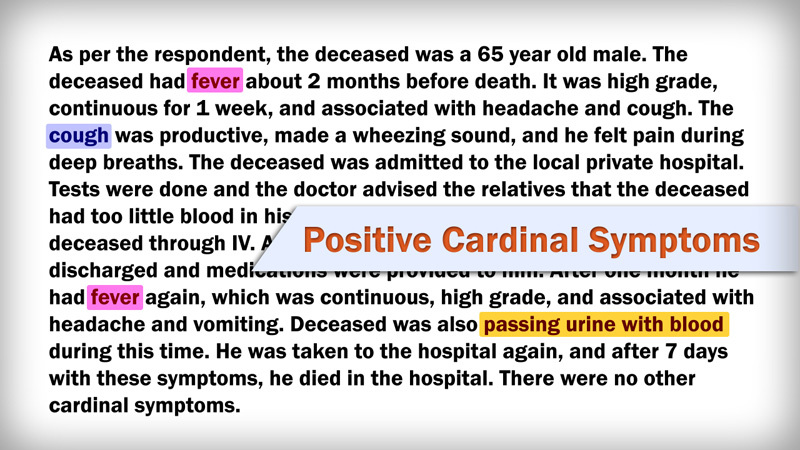 Firstly positive cardinal symptoms are clearly identified. 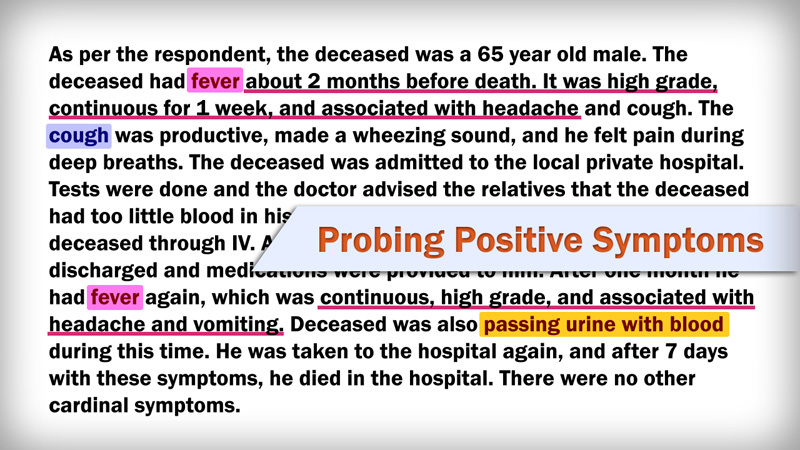 And each symptom was probed well by using the Cardinal Symptoms List. 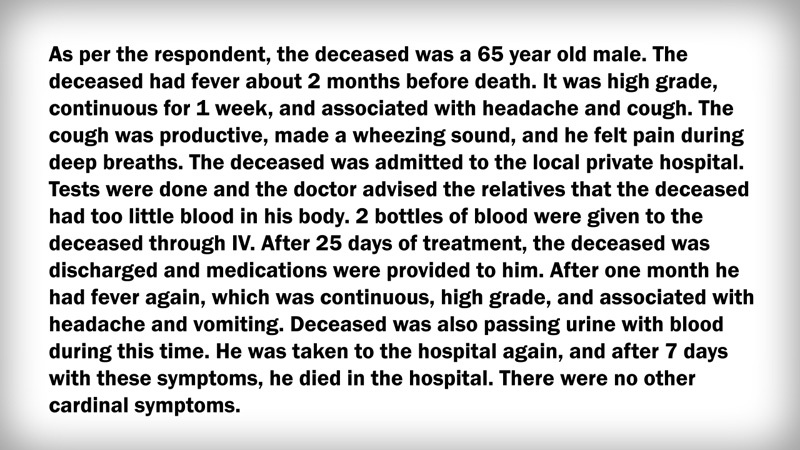 For example, details of the fever include its grade and duration, and whether it was associated with headache and vomiting. 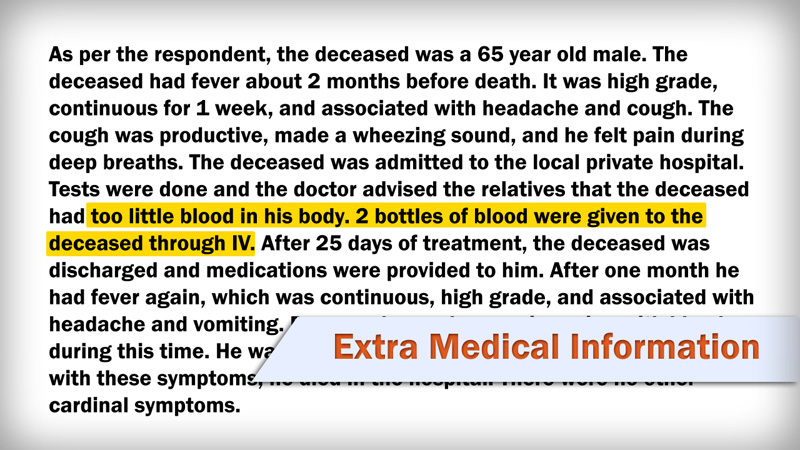 And extra medical information is also good and relevant to the symptoms. Similarly information about time sequence is well documented. 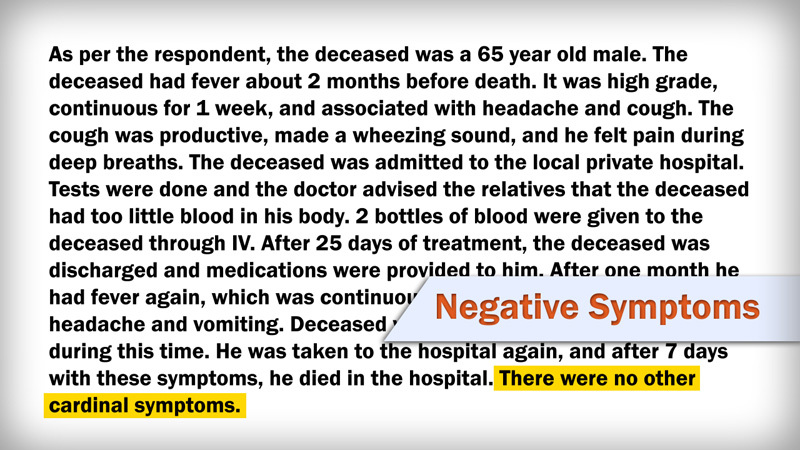 Lastly this narrative clearly mentions negative cardinal symptoms in the end.